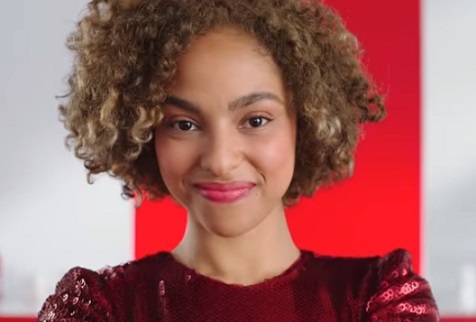 Target Free 2-Day Shipping Commercial Song Target encourages people to get holiday gifts in a snap with free two-day shipping from Target. The retailer has released a new commercial, available in both English and Spanish, advertising the free two-day shipping service. “Free 2 Jam, Free 2 Glam, Free 2 Gram” onscreen lines read throughout the ad, which features a teenager putting on headphones and listening to music, a young woman wearing earrings and another one looking into the mirror of a product from Coloured Raine’s cosmetics line, and a boy taking a selfie with his grandmother. The soundtrack music is Meghan Trainor’s 2018 single “All The Ways,” from her upcoming third studio album, Treat Myself, slated for release on January 25, 2019.